The slender towers of the church of St Michael the Archangel dominate the wide East Anglian landscape for miles around. 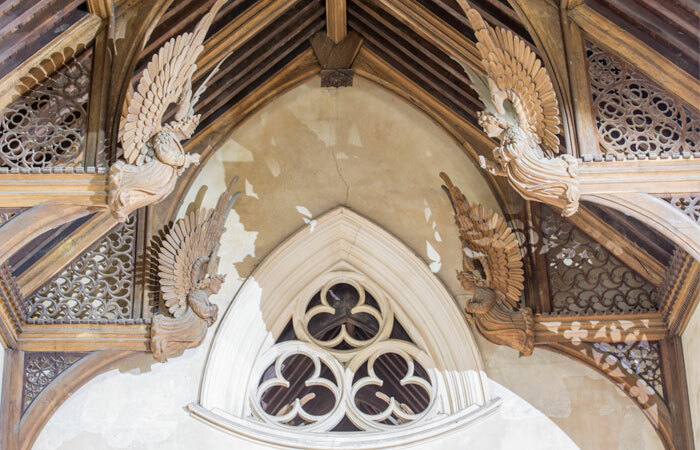 This amazingly decorative and extraordinary building was the creation of one man – eccentric clergyman Reverend Whitwell Elwin – a descendant of Pocahontas. 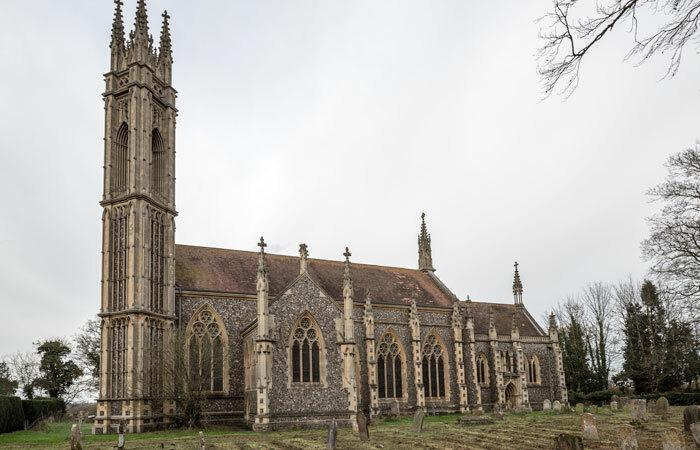 A friend of Charles Darwin, Elwin not only raised the funds for the building, he also designed it – without the help of an architect – borrowing details from other churches throughout the country. 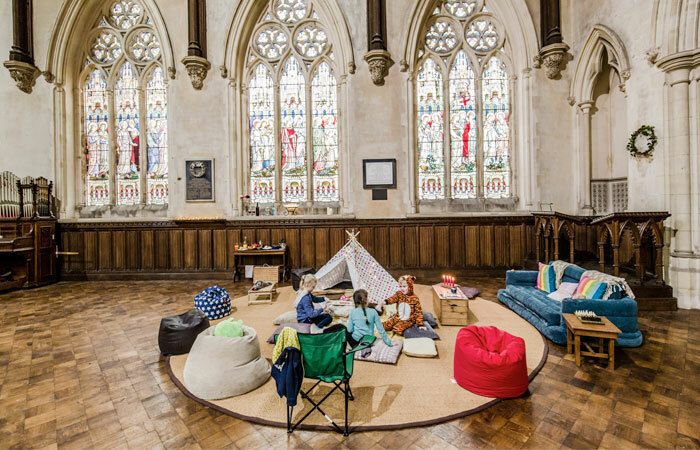 A favourite from our 2018 Champing™ season, this stunning church is huge yet cosy, and sits in a quiet spot overlooking patchwork green fields and the wide blue yonder. It’s unusual to find such an architectural masterpiece in a quiet country lane, just 12 miles north of Norwich and 20 miles from the Norfolk coast. 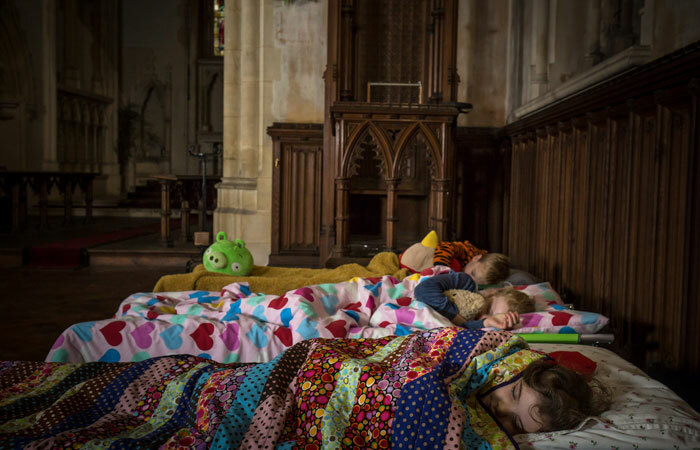 St Michael the Archangel is in prime outdoorsy countryside, with plenty of ways for you to enjoy fresh air and excitement. For more information about this church and the work of the CCT, click here. Click on the pop-up boxes above to zoom away and find out more. We’ll keep updating this all the time. 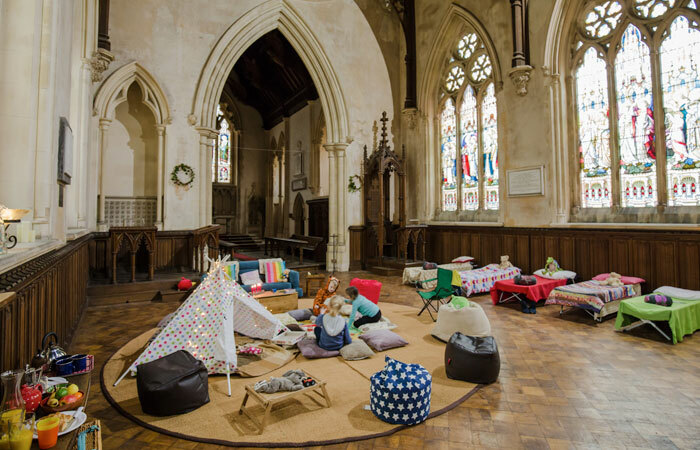 If you know something we don’t about this area, just drop us a line at champing@thecct.org.uk to share your wisdom. Thanks! Rushlight Art Gallery – Melton House, Market Place, Norwich NR10 4JJ, Ph 01603 872216 – Small art gallery selling contemporary pieces by local artists. 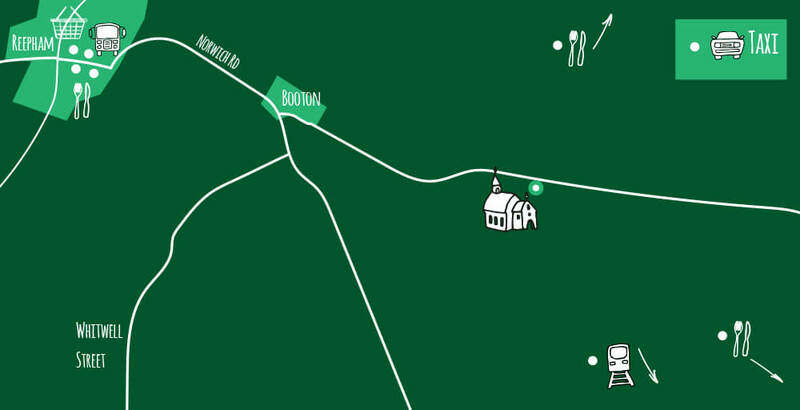 Open Tuesday – Saturday, 10am to 5pm (1.6 miles from church). Blicking Hall – Blickling, Norwich NR11 6NF. Birthplace of Anne Boleyn and exquisite example of a Jacobean country house(7.5 miles from church). Click here for more information. Fellbrigg Hall & Gardens – Felbrigg, Norwich NR11 8PR. One of the most beautiful stately homes in East Anglia. A Tudor home with Restoration additions (17.5 miles from church). Click here for more information. Norwich Castle – Castle Meadow, Norwich NR1 3JU. One of medieval England’s most significant fortifications, built shortly after the Norman Conquest. (13.9 miles from church). Click here for more information. Norfolk’s busiest paid attraction, Roarr! Dinosaur Adventure park appeals to families of all ages. This 85 acre park has zip wire and high ropes challenges for adults and children alike, plus animatronic dinosaurs in natural surroundings, Dippy’s splash zone for summer fun and Dinomite, Norfolk’s largest indoor play area for winter fun! Wonder across to the Secret Animal Garden, home to loveable pigs, wallabies, tortoises, snakes and other wonderful creatures and visit the Dino of the Day show to learn some amazing facts about Prehistoric life. We were very curious about what to expect in the church we stayed in (St. Michael the Archangel in Booton). A year ago we watched a documentary on German television on champing which stirred our interest in trying this ourselves. Everybody involved was very helpful and prepared our “champing adventure” with care. After a night with severe thunderstorms we enjoyed a great breakfast at “Diane´s pantry” in Reepham – check this out! 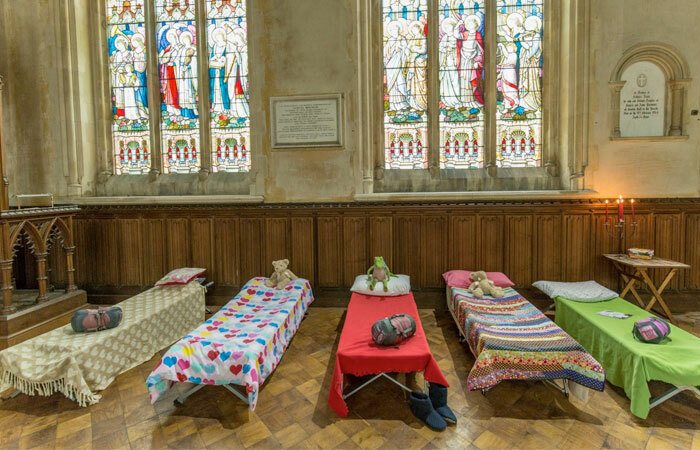 We enjoyed our first champing a lot – and then: Who has ever spent a night in church of “his own”? We will tell our friends in Germany of this adventure and encourage them to try it for themselves. Great experience champing! Lovely evening of quiet and not a bad night’s sleep! TV’s Rev. Kate celebrates the opening of the Champing™ season!